We recently launched a first of its kind content aggregator website in big data called BigData-MadeSimple (http://www.bigdata-madesimple.com/), this is because we want Crayon Data to become a go-to space for everything Big Data; not just creating products and applications, but nurturing and developing ideas and thought leadership. We are in the process of building a business and technology platform that democratizes the use of big data for the average business and consumer. SS: The problem most businesses face in providing solutions across multiple verticals and geographies, is the migration and portability of vast amounts of data. We try to solve this with a multi-tiered platform based approach to store & analyze the data. This architecture is highly scalable with the data and algorithms residing at platform level and the client facing interfaces at client/application level. This approach creates flexibility for us to jump across territories without wasting efforts in migration. We build solutions on this underlying platform that are customized for the business needs of the enterprises. A classic example is how we are building multiple applications for various verticals above a common simpler choices platform. SS: We have built a big data platform that vastly expands the data sets beyond enterprise data. By connecting the internal data of a client with the world of data outside, including social data, we are able to provide richer and more intelligent data led decisions for our clients. Our data ingestion and curation engine (called WhiteBox) is the foundation on which we offer our unique “Choice Engine”. This engine (SimplerChoices) seeks to simplify the choices available for both clients’ internal decisions (customer lifecycle management, risk management, pricing, channel management, marketing and sales optimization) and for consumers. Simpler Choices represents the next wave of analytics which allows a predictive, algorithm, machine-learning led approach to decision making, rather than a historical, people-led model. Over time, this improves confidence in decisions, saves time and energy for managers, and vastly improves the cost efficiency of analytics. Additionally, we have developed an innovative visualization element that removes the clutter in analysis and presents business users ideas they can act upon immediately. AIM: Please brief us about the size of your analytics division and what is hierarchal alignment, both depth and breadth? SS: Crayon Data has a team of 60 professionals distributed between Singapore and Chennai in India. The team consists of data scientists, designing team and the coding team. There is also a management team and a sales and marketing team. The team structure is based on the skill sets that each of the three founders brings in the organization. I founded the company in 2012, along with my co-founder Srikant Sastri and Vijay Kumar Ivaturi (IVK). IVK serves as the Chief technology advisor and Srikant provides strategic leadership. At Crayon, we do not follow hierarchal alignment as such; we encourage our employees to come up with innovative ideas irrespective of hierarchy. AIM: What are the next steps/ road ahead for analytics at your organization? SS: The primary focus for us now is to bring the power of Amazon/Netflix in terms of personalization and recommending choices to enterprises. We plan to accomplish this by aggregating and curating vast amount of external data and combining it with the internal assets at the enterprise. With this, we will be able to predict outcomes to simplify the decision making process of organizations. SS: Most of today’s enterprises rely heavily on their internal data assets to make their decisions. The future of decision making depends on not only your internal data, but also on the behavior/interests of their consumers outside the business environment. They should be able to combine their customer preference with the structured internal data to make more informed decisions. Enterprises should focus on predicting outcomes rather than constraining themselves with KPIs & SLAs. 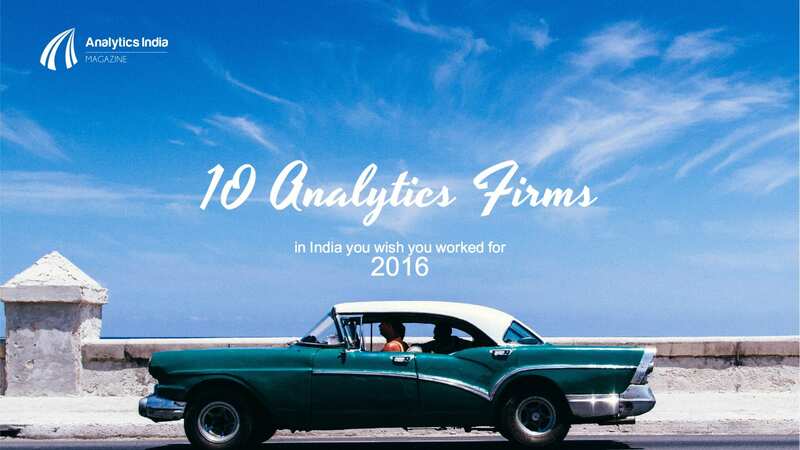 This brings a result oriented approach to their analytics efforts. SS: There is a massive amount of structured and unstructured, online and offline data generated across various industries in the form of customer information, transactions, loyalty information, reviews and more. Most businesses today are ill-equipped to handle this tsunami of information. Data is the biggest challenge and opportunity to innovate and implement new business models that can leverage this vast amount of data to create value for businesses and consumers. Crayon believes in leveraging current technologies, challenging the existing business models of vendors and hence changing the way organizations handle the increasing complexity of using analytics in the new “big data” world. SS: I’ve worked in a variety of companies, ranging from large enterprises to start-ups, setting up new companies or divisions to launching or turning around brands or businesses, for 28 years. When the world experienced the first wave of data analytics, I founded RedPill Solutions, one of the earliest customer analytics consulting firms in 2000 (which was bought by IBM later in 2009). I then went on to head the Global Analytics Practice for IBM Global Process Services for the next two years. Finally in 2011, I gave in to the entrepreneurial urge once again by setting up Crayon Data in 2012. SS: Data analysts are in huge demand and data analytics is a much sought after field. One should have good technical as well as analytical skills to prosper in the field of analytics. So, I would like to advise to aspiring graduates to first understand the space and check if they are passionate about it before entering into the big data space. Apart from graduating in subjects like computer science, statistics, mathematics and physics, one should specialize in Analytics which will help in having a successful career in core analytics space. Further a keenness to understand business problems as a whole and the ability to map this with how data can resolve these problems will be invaluable. SS: Though there is no specific educational program for a data analyst, we look at people who are highly qualified and have advanced degrees (often PhDs) in education fields like physics, accounting, business, mathematics, statistics and computer science. At Crayon data, we are working in a rapidly growing and dynamic environment. Our guidelines for hiring are simple. We think employees are the foundation and future for the company, so we recruit individuals who can easily fit in to the Crayon work culture. What we are looking at is to build a team of inspired, self-driven, analytical, imaginative, flexible and focused individuals, who bring great energy into a new enterprise with their experience, skills and winning attitude. Hence in terms of personality type, we are looking to hire eclectic people, who relish the challenge of riding the big data wave. 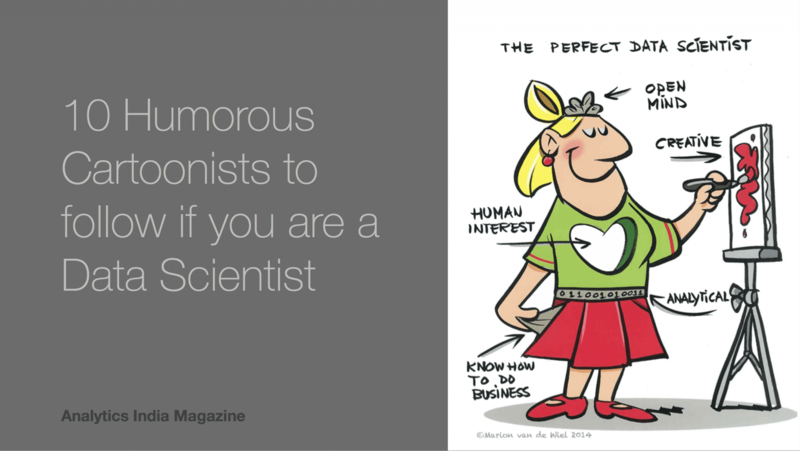 The skills required by a data scientist include technical, business, analytical and relationship skills. SS: While dealing with increasingly complex data feeds and information demands, analytics initiatives today are moving to real-time data and analysis, pulling together information from multiple business areas and sources not just internal but also external like social networking sites. The new wave of analytics don’t just report past trends and extract data, but can also predict what will happen in various situations, offering flexible customization capabilities that open up data to the entire organization and beyond. With globalization and emergence of enormous companies, competition levels in every single vertical has increased and so as customers demand. So companies are continuously in search for solutions that can help them differentiate themselves from their competitors and attract and retain customers. Business owners want to be able to grab and mix information easily, without having to wait for it to be loaded into a corporate data warehouse. Along with all the technology changes, there have been big changes to analytics culture. Information is no longer a byproduct of manufacturing processes; it is fast-becoming a key part of the products themselves. Retailers and service providers, today, want to offer “customer experiences” that are tailored-made for individuals, optimized for the moment, and coherent over time – and that requires powerful new data platforms. As compared to traditional IT, interest in information and control over budgets is swiftly moving to the business units as information and data analysis and usage is becoming key to revenue generation. An IIM-Kolkata graduate, Suresh is a pioneer in the field of analytics. He is best known to be an ideator, an activator, an entrepreneur, a business builder and a disruptive thinker. He established Crayon Data in Singapore in 2012 with an ambition to harness the big data wave that is sweeping the world. His expertise and understanding of customer analytics laid the foundation for RedPill Solutions in 2000 making it one of earliest customer analytics consulting firms. RedPill Solutions catered to the data analysis requirements of companies across Asia-Pacific, Middle East, Japan, Australia, Saudi Arabia and India. RedPill’s clientele included brands such as HDFC, ICICI, Nokia Siemens, Virgin Mobile, Tata Telecom, Al-Rajhi, HP, Microsoft and many more. The cutting-edge analytics solutions provided by the company gathered the interest of global business leader IBM and RedPill was acquired in 2009. 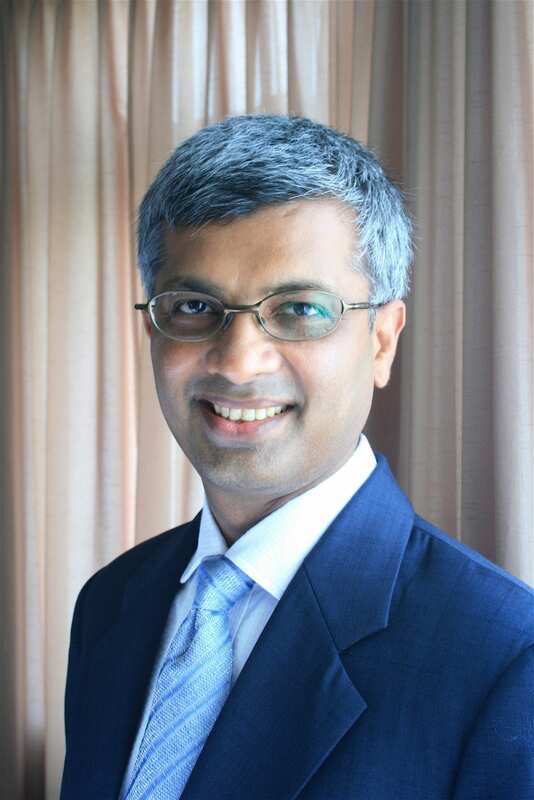 Suresh was considered a leading analytics evangelist globally in IBM. His role was to extend the company’s business globally. In his tenure with IBM, Suresh had acquired clients like JP Morgan Chase, Lloyd’s, Westpac and ENBD, Airtel, Axiata, China Unicom, China Mobile, Xerox and GlaxoSmithKline. Suresh has over 28 years of experience working in a variety of roles ranging from large enterprises to start-ups, setting up new companies or divisions and launching or turning around brands or businesses. He has earlier worked with ABN AMRO (1998-2000), as Asia-Pacific Marketing Manager for the launch of the bank’s global Internet banking & personalization pilots. He had set up and ran JWT-Fulcrum – India’s first media buying agency (1995-1997) and with JWT (1989-1995), led the launch of Citibank cards, Citibanking, CitiPhone banking & many services that created Indian consumer financial services sector.